Andy Hertz sent me this description after what he thought was a first descent of upper Black Butte. Alas, no dice. 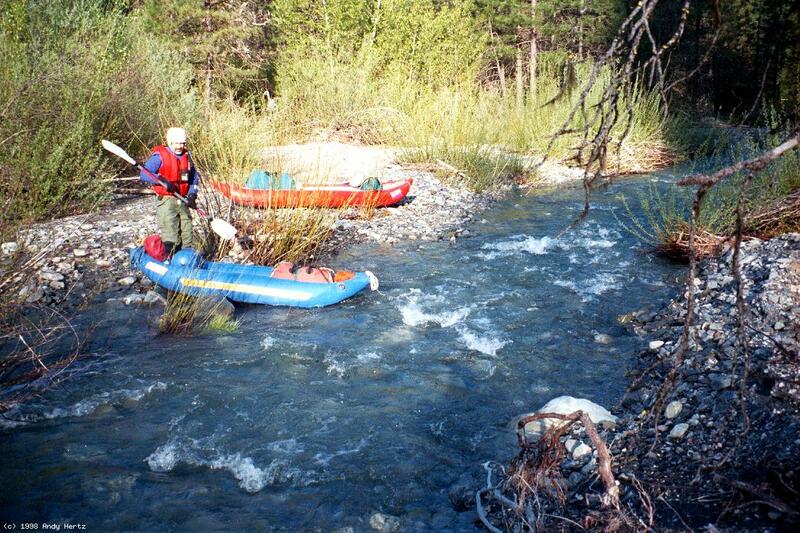 We later discovered that kayakers Kenny King, Eric Jensvold, and Bill Vogler started at mile 10 in 1992, as reported in the Sierra Club's Paddlers News Bulletin. 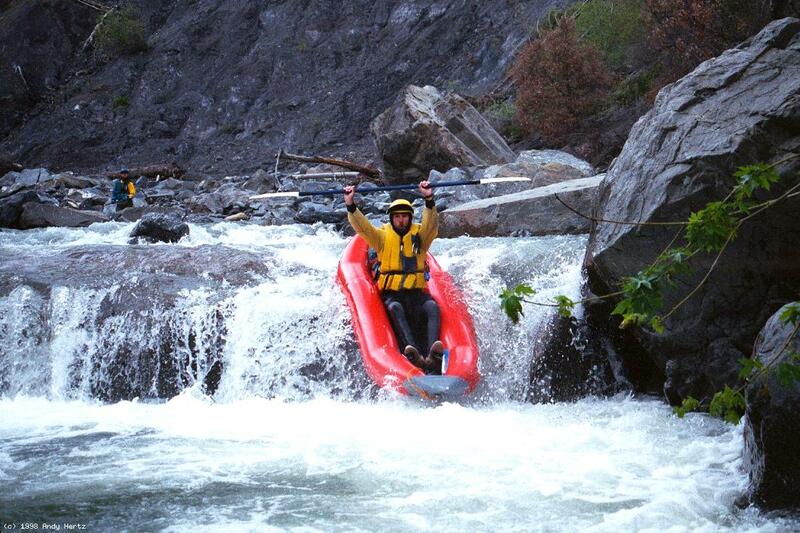 Mike Doyle e-mailed that he guided a raft starting at mile 17 circa 1987. 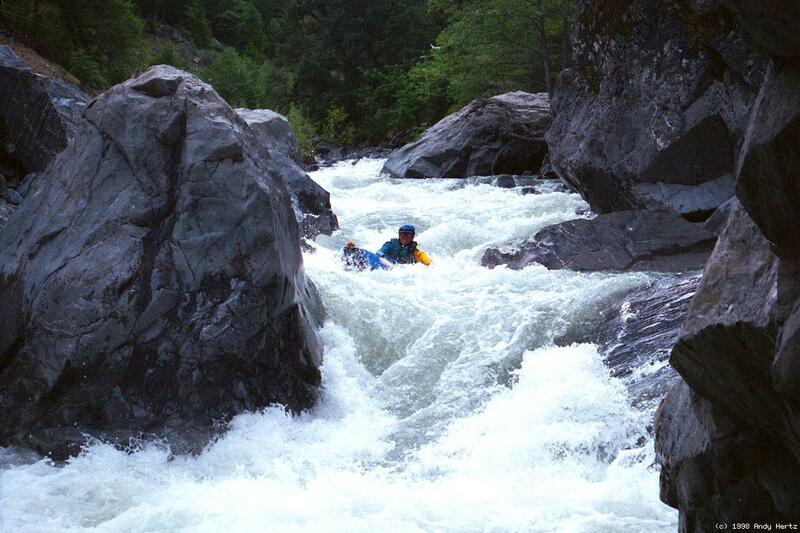 Finally we heard that the Black Butte was run in 3 days in 1974 from the very highest road crossing by the Bauer brothers, who reported strenuous portaging in the upper miles in the American Whitewater Journal. The Black Butte is an all-time classic! 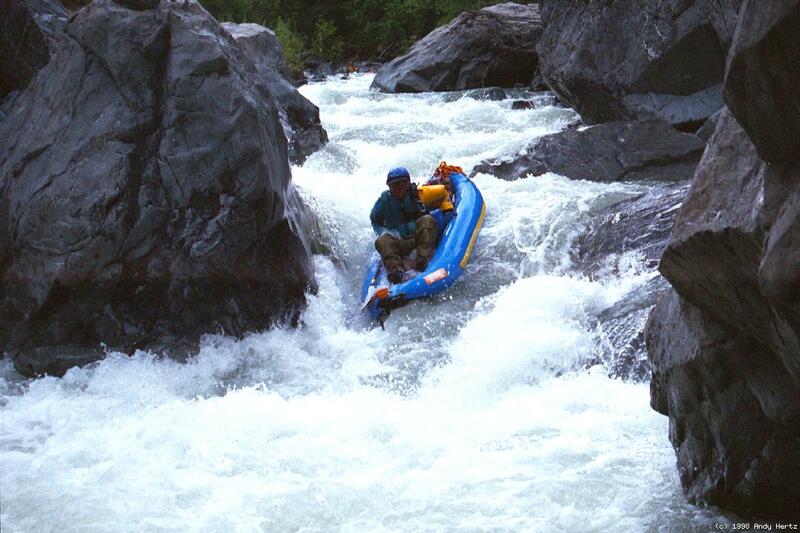 We all agreed that we had never experienced a better combination of fantastic rapids, beautiful scenery, abundant wildlife, and isolation from humanity. Along the way we saw a bear, otters, golden eagles, deer, and some bunnies on the drive in. 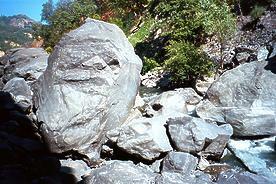 For more than twenty miles along the river corridor there were literally no traces left by mankind. Pure wilderness at its best. 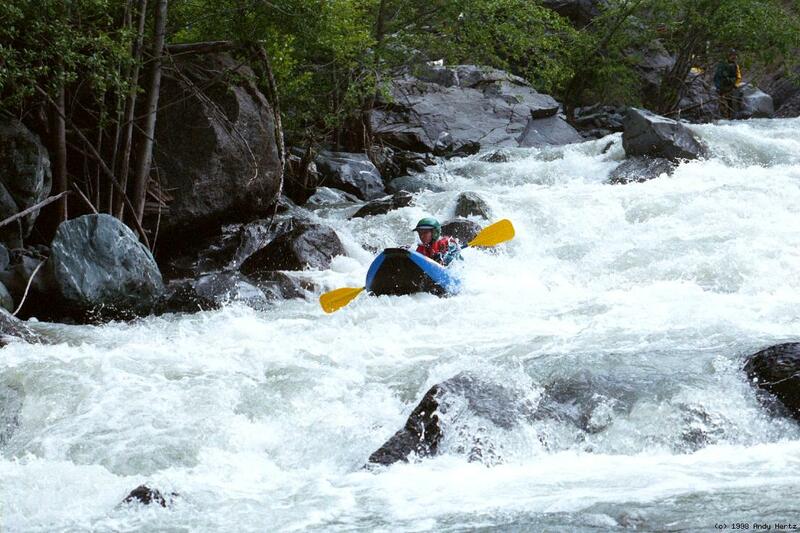 I can hardly say enough about the quality of the rapids - mile after mile of exhilarating class III-IV+. This run is superb in every sense, and one that emphatically deserves a spot on your annual to-do list. Although the shuttle is long in snowy years, it could be shortened significantly if 5006' Mendocino Pass were open, although by then the river might be too low. A good strategy might be to do this run on declining flows after a minor spring rainstorm. Put in where road 311 fords Estelle Creek. Much of this area is private property. Expect skimpy flows for the first mile. 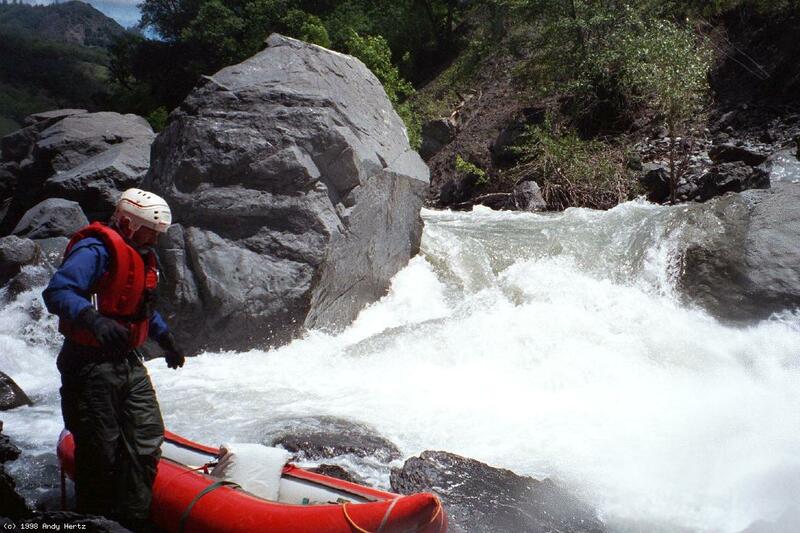 If it's not skimpy, the lower river will probably be too high. 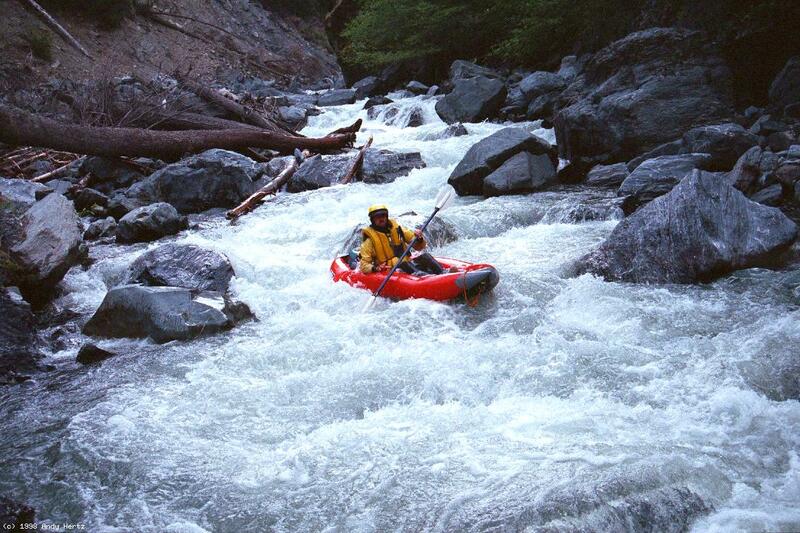 Spanish Creek comes in on the right, approximately quadrupling the flow. If it's still skimpy, the flow is probably too low. 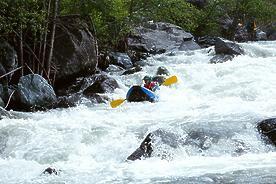 Rapids are mostly class II. Skidmore Creek enters on the left. After a while, the gradient steepens and rapids become class III-IV. 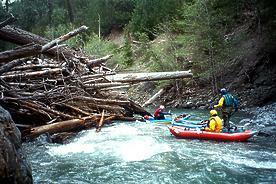 The first class IV, beyond an overhead log (1998), is not runnable at low flows. Tree Right, possible portage at high flows, owing to tree. Plug Rock, long boulder slalom. 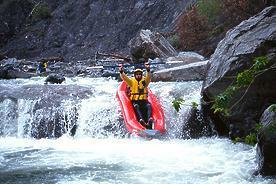 Rapids ease a bit; the steep gradient creates many fun drops. Buckhorn Creek enters on the left. Baldy Creek enters on the left. 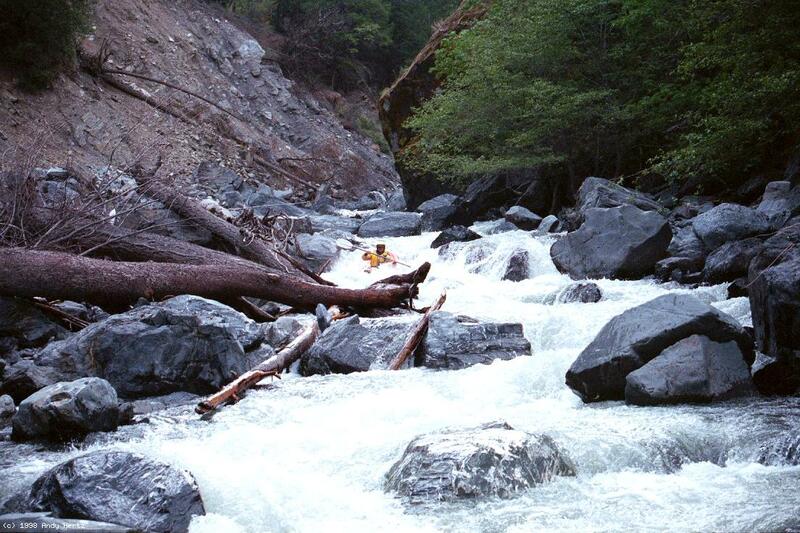 Gradient steepens ahead, but without creating any unrunnable rapids. 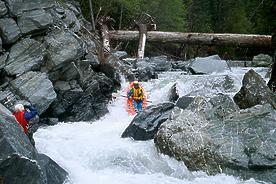 Cold Creek enters on the right, adding significantly to the flow. 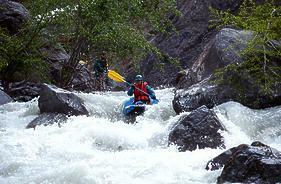 Rapids become bigger but less technical. Salmon Creek enters on the left. 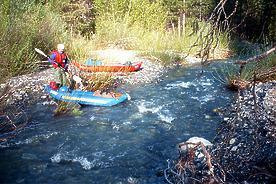 Rapids ease up a bit, and good campsites abound. Dingman Creek enters on the left. Butte Creek enters on the right. Billy Pike Creek enters on the left. Blue Slide Creek enters on the right. White Hawk Creek enters on the right. Mississippi Creek enters on the left. Sallady Creek enters on the left. Billy Williams Creek enters on the left. Jumpoff Creek enters on the right with a big gravel contribution. Nebo Creek enters on the right. Shields Creek enters on the left. The entire river pours down into a submerged rock. This is only the first of two big drops. The same scene in late summer, showing many undercuts and tunnels amid the rock jumble. Van Horn Creek enters on the left. Take out at on the left underneath the Etsel Ridge highway bridge, which crosses to the USFS campground on the right bank. To reach put-in, take Potter Valley Road north from Highway 20, and follow signs to Pillsbury Reservoir. Drive around the north side of the reservoir, then take M1 (Hull Mtn. Road) east. 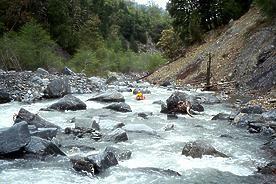 After this road crosses Squaw Valley Creek, stay straight as the road becomes M6, which climbs and then descends into the upper main Eel at Horse Creek. Keep going northward as the road climbs into Low Gap. Although 311 goes straight ahead from Low Gap, it is blocked by a landslide. Turn left, continue uphill, then turn sharp right and follow signs to The Basin, rather than continuing east on M6. Descend to road 311, turn left, and continue downhill to the ford of Estelll Creek. To reach take-out, return to Highway 20 and 101, proceed north to Longvale, and turn west on highway 162 to Covelo. After turning sharp right in Covelo, this becomes Mendocino Pass Road and then FH7 as it descends and follows the Middle Fork Eel to the Black Butte USFS campground.